Another season of The Ultimate Fighter is in the books, and the TUF Finale is once again upon us. This past season, The Ultimate Fighter 28: Heavy Hitters featured eight men’s heavyweights and eight women’s featherweights–including Wisconsin’s Leah Letson (4-1). One of Letson’s main strategies in barreling through the TUF tournament bracket was making sure to stay true to herself. Training with a completely new group of coaches and training partners, Letson encountered many problems during the filming of the reality series. Openly outlined on the show, her main objection was the lack of intensity in Team Whittaker training sessions. “They haven’t exactly shown the training we were doing,” Letson said in an interview with FloCombat. “The training we were doing was literally just shadow boxing the same combinations over and over again. That was our striking training. “They finally showed that last week a little bit, but they didn’t show it as much as they should have. It was a real problem. My whole team was not satisfied with the level of training we were getting. On numerous occasions, Letson voiced her concerns but never felt they were satisfactorily answered. “We didn’t have sparring once,” Letson said. 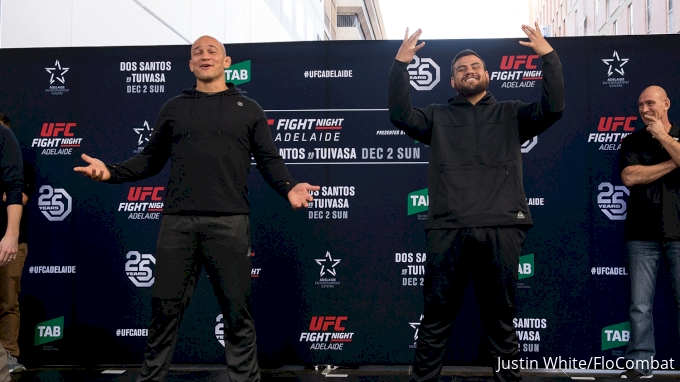 “We asked for sparring multiple times and [our coach, Robert Whittaker] wouldn’t let us. In order to compensate for what she felt was lacking in those sessions, Letson took matters into her own hands. Despite her differences with the Team Whittaker coaching staff, she believes the experience was still positive. Having to steer her own ship, Letson expanded her self-awareness. While Letson was eliminated by surging Fortis MMA product Macy Chiasson in the semi-finals, the United States Air Force veteran will still have the chance to compete on the upcoming finale card. On the undercard of Friday’s aforementioned TUF 28 Finale, Letson will clash with fellow Team Whittaker member Julija Stoliarenko (4-2). Also eliminated in the semi-finals, Stoliarenko lost to finalist Pannie Kianzad by unanimous decision. “I absolutely love this matchup because she’s very much a jiu-jitsu fighter,” Letson said. “My wrestling and top game is really good for shutting the jiu-jitsu down. I kind of wanted this fight actually. Even on the show I wanted it. After an opponent fallout this past weekend at UFC St. Petersburg, the promotion wasted no time re-booking light heavyweight Devin Clark (9-3). "Brown Bear" will square off with Serbia's Darko Stosic (13-1) June1 at UFC Fight Night 152 in Stockholm, sources tell FloCombat.